This week we’ve got a great deal for those last minute Christmas shoppers, we’re offering £10 cashback at Buy a Gift on a £10+ spend! All new members need to do to claim this deal is follow the steps below! £10 Cashback at Buy a Gift! 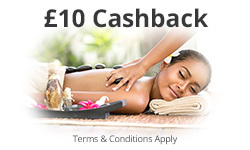 New members spending £10+ at Buy a Gift get £10 cashback. All new members have to do to claim £10 cashback at Buy a Gift is follow these four easy steps! Click 'Get Cashback' to go through to the Buy a Gift website and make your purchase. New members can grab a perfect Christmas gift knowing they'll be recieveing 100% cashback up to £10.